Here is my favorite introduction post to the game. In a nutshell, this is a sandbox, there's no wrong way to play it. The forest is what you make of it. Many people here use it as a roleplaying platform and a hub between their personal mind worlds. Personally, I run it in the background and draw, code or something while the ambience plays. Half of the time, I tab in to mingle. One thing of note, is when you're looking for interaction, those deer already up and moving are your best bet. As for the sleepers or those who sit, you never know whether they're tabbed out, afk or busy doing sth else. You're welcome to stick around and find out, though, if you got the time. I understand that I'll become an adult deer in a month's time? But there's no way to alter my appearance other than receive random modifications from other players? That's correct as far as fawns go--they're too young and inexperienced to hold onto the Forest's "magic" that gets cast on them. When your fawn is grown, you will have to rely on others to cast magic to change your appearance in most cases. Antler decorations such as flowers and the pretty rare candles can be gathered yourself by going over to the correct item and using the action that pops up in your action bar. 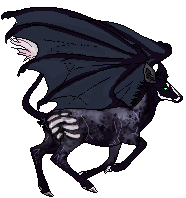 Around Halloween the creators of the game like to play a big zombie deer (who we sometimes refer to as BZD ;> ) who will give you any of his appearance if you cast it on him. For example, if you cast a mask spell from eating a mushroom, you get his skull mask. If you case an antler spell from eating a pinecone, you get his antlers, and cast a pelt spell from sitting next to a sleeping deer will give you his pelt. Here's a link to a pretty handy player-created guide- it'll answer most of your questions. but of course if you come up with something that's not on the guide, just ask and we'll try our best to answer.